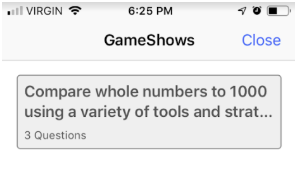 Use Paper Mode to play GameShows and collect insights really quickly without any need of student devices or internet in your classroom. (1) Download the App: Download the Knowledgehook for Teachers App for iOS or Android on your tablet or phone. (3) Print the Questions and QR Codes: You will receive an e-mail with a PDF containing the questions, which can be used as handouts or displayed on a projector. On your computer, go to the QR Codes for Paper Mode page. Print the (1) Class List and (2) QR codes. Write your students' names on the QR codes. You must create the Student accounts before starting an offline GameShow. Only multiple-choice questions will be included in the PDF handout for Paper Mode. (b) orientations for A, B, C, and D.
In the handout, each answer is labelled A, B, C, and D to match the QR code orientation. So if a student wants to submit answer A, ask them to hold up their card with "A" on top. (4) Click Paper Mode: From the app, press Paper Mode in the navbar. 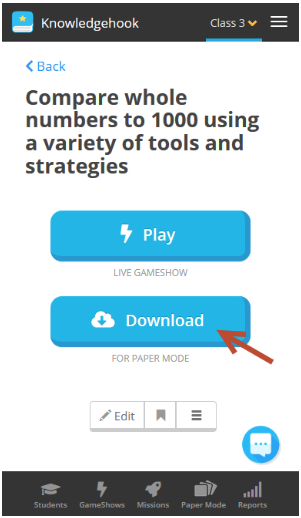 (5) Play a GameShow in Paper Mode: It will ask you to select from a list of GameShows that you have already downloaded. Press Play to begin! 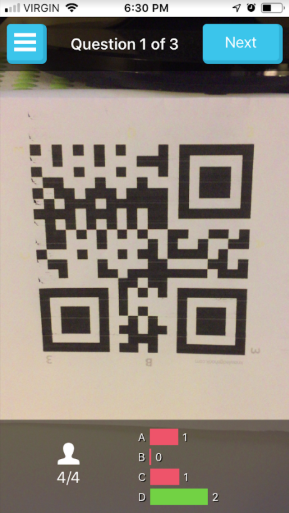 Ask students to answer Question 1 by holding up their QR codes. You can now begin scanning for Question 1. Next: When you are finished scanning the answers, press Next and proceed to the next question. 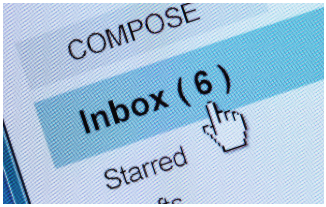 After you are finished with all of the questions, the results will be uploaded to your account automatically (if you are connected to the internet). If you're not connected, it will upload the next time you go online and open the app. That's it! Let us know what you think of Paper Mode!